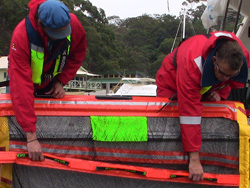 Reelsling comes with 160′ (49m) of floating line, with light reflective strand, for pulling your MOB alongside. 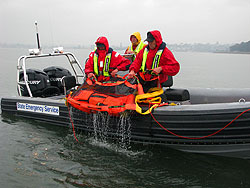 It has a built–in sturdy lifting harness for head–first MOB recovery (see photo). This is not recommended for hypothermic crew! The best MOB recovery systems can safely retrieve hypothermic, disabled, even unconscious crew, who are completely unable to help themselves. An example is Sea Scoopa. 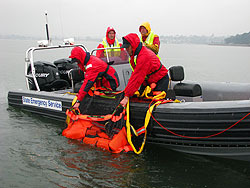 The model for powerboat is shown below in a rescue with large inflatable; a sailboat rescue model is shown too. Professional rescue and life saving organizations will be interested to know that Sea Scoopa is engineered to minimize potential injury to the rescuers doing the lifting. 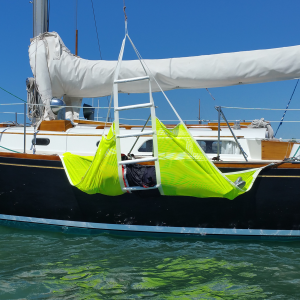 SAIL magazine editor Charles J. Doane reviewed the Sea Scoopa. He described it as the only unit he had ever used that truly makes it possible to recover an unconscious person from the water without getting in yourself. He wrote that in July 2012. Almost four years later, Sea Scoopa still sets the standard for MOB retrieval. Especially for commercial, rescue, and military applications, it is ideal. Learn about it. Buy if you can. If Sea Scoopa is not possible in your program, consider a new product from SOS Marine which has a similar parbuckle–lift feature. This unit is two recovery devices in one. It is both a parbuckle lifting device and a ladder with rungs. 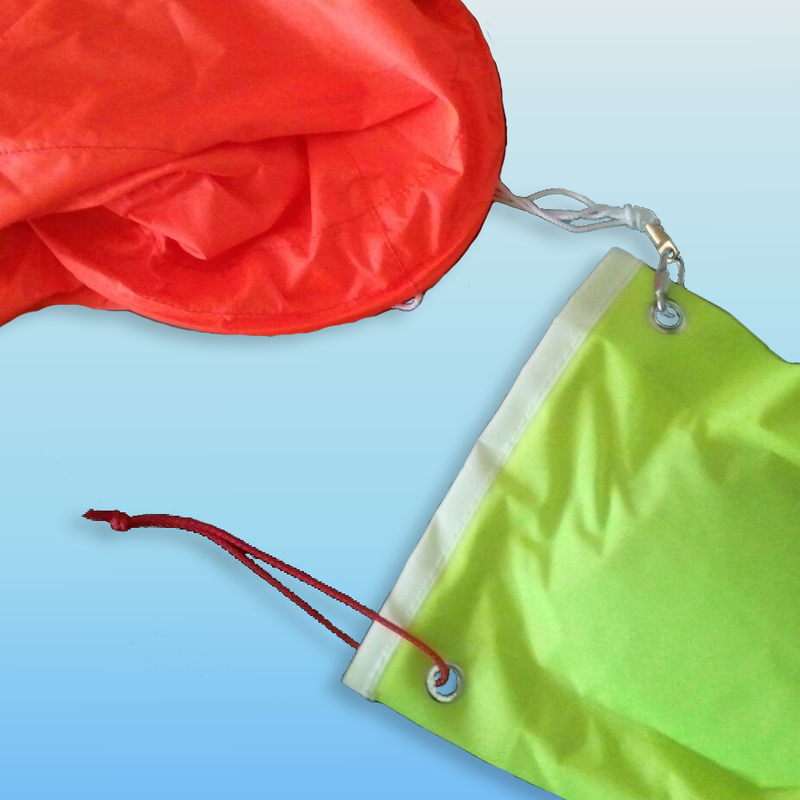 It is made of soft, light materials to avoid injuring your MOB during recovery. It’s called, the Recovery Ladder. Read a man overboard survivor’s comments about getting back onboard (opens in a new browser tab or window). Check out recent MOB statistics. Used as a boarding ladder with rungs, able–bodied crew climb aboard at will. 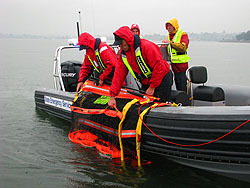 Used as a parbuckle lifting device, it halves the load of lifting your disabled or hypothermic overboard crew on board. Note that this parbuckle retrieval requires halyard or block and tackle, not included. The Recovery Ladder, from SOS Marine, is affordable, at under $200. Minimize MOB time in water. Just Throw! a dan buoy to enable quickest return. There are good reasons to pull an overboard crew out of the water sooner rather than later. The PFDMA tells us that, in water colder than 40° F (4° C), an overboard crew will lose consciousness in 30 minutes or less. That’s quicker than the typical commute to work. Consider this: in those conditions, that crew will die in 30 to 90 minutes. In water warmer than 80° F (27° C), survival is not immediately threatened. Cold water adds urgency. 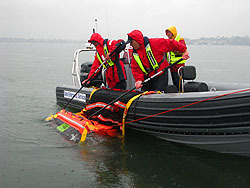 It demands equipment that is easy to train, easy to use, and works safely and reliably for overboard crew recovery. Many of us are not fortunate enough to do all of our boating in 80° water. What is the sea water temperature now in your area? How long will it take you to find and return to your MOB, then ultimately retrieve the person waiting, praying to be rescued? Professionals train for good reason. For hypothermic crew, hoisting sideways (horizontally) makes for the safest recovery. This avoids potential fatality, from circum–rescue collapse. 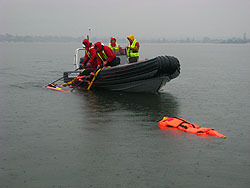 Some overboard recovery devices are not set up to make this recovery. They only lift the MOB vertically, head up. Many people are not aware that this can compromise the hypothermic crew’s survival. Evaluate what you need to do to comply with these requirements before your next sail! World Sailing publishes Offshore Special Regulations, abbreviated OSR , which defines a number of race categories referred to below. Section tags below, shown as: § 4.22, refer to the OSR. US SAILING publishes United States Safety Equipment Requirements, abbreviated USSER , which defines the race classifications below. Section tags below, shown as: § 1.0.1, refer to the USSER. 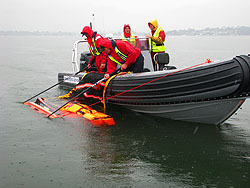 We have an FAQs page on man overboard recovery. 2Read overview of World Sailing race categories, 0, 1, 2, 3, 4, 5, and 6. 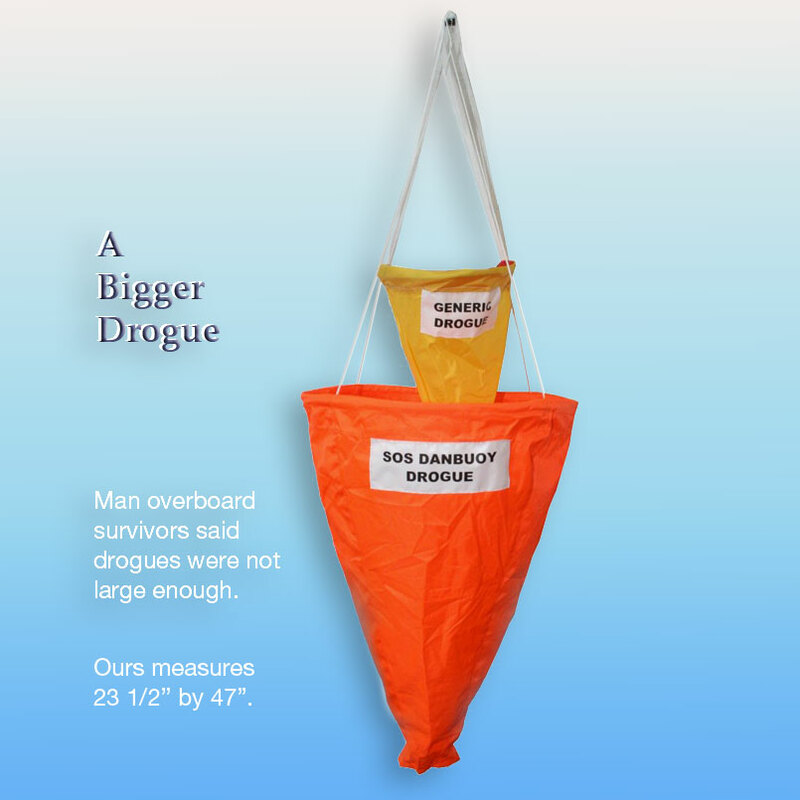 This entry was posted in Safety at Sea and tagged comparison, Man overboard by Philip Thompson. Bookmark the permalink.